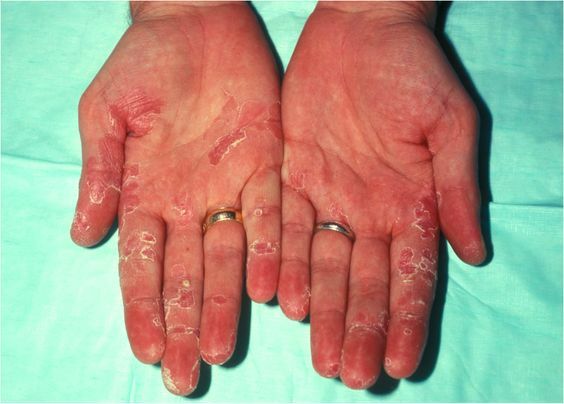 Many people suffer from psoriasis on the palm of their hands . I actually have psoriasis on my fingers so I can feel for those people that have to deal with it on their palms. Having psoriasis on a part of your body that you use to interact with everything can really be a challenge. It also makes it really hard to try to cover it up. Just shaking hands can be embarrassing to the point that it gives me anxiety. I prefer topical creams as they provide the fastest relief of symptoms like dried, cracking skin and itching. The three best over the counter creams, in my opinion, are Revitol Dermasis Psoriasis Cream, Psoeasy Psoriasis Treatment Cream, and Puriya Mother of All Creams. Revitol is offering a free bottle of their Dermasis Psoriasis Cream right now if you’re interested in trying it out. A good way to add to the efficiency of any type of topical cream is to wrap your palms in plastic wrap after you apply it. This helps keep it from rubbing off. It also has the added benefit of preventing the cream from getting on anything you touch before it has a chance to soak in. This is really good if you’re using one of the creams that stays greasy for a long time. Cold water can be soothing when your psoriasis is really inflamed. Some people have good luck with warm water as well. The main advantage that I see from soaking is the fact that it loosens the skin and can help with movement. Capsaicin is the ingredient in chili peppers that causes the heat. If you’re experiencing a lot of pain, you can try a cream that contains capsaicin to try to stop the transmission of pain signals. A lot of people find that apple cider vinegar helps relieve itching and helps plaques peel away. It doesn’t really seem to work for me, but it’s worth a try as it’s really cheap and you probably already have some in the house. You can just pour it straight into a small bowl and soak your hands in it. Just be careful if you have any breaks in the skin. The vinegar is acidic and burns when it makes contact with broken skin. Antihistamines can help with any itching that you may be experiencing. If you have itching that keeps you up at night, antihistamines can really help if taken before bed as they cause sleepiness in a lot of people. 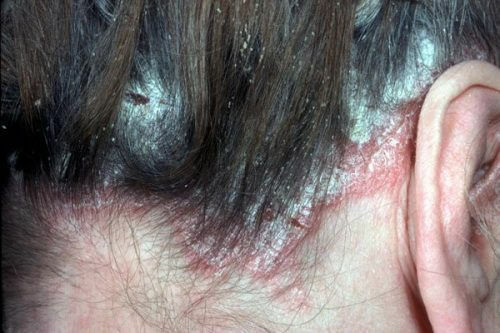 Weather, stress, infections, trauma to the skin, smoking, and alcohol are all known to aggravate psoriasis symptoms. Read our article on how to avoid these triggers for more helpful information. Sunlight and UV lamps can have a drastic effect on the severity of psoriasis. 5-10 minutes of direct sunlight a day can make a noticeable difference. If you plan on using UV lamps, you should look over our article about UV photo therapy for more thorough information. Always remember that tanning beds are not recommended for treating psoriasis of any kind. Both of these products can help boost your immune system and thus help with psoriasis flare-ups. 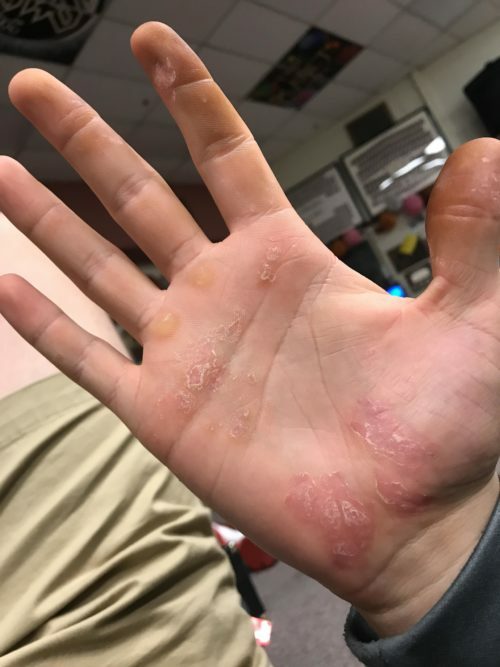 Psoriasis, especially if it’s on your palms, can be embarrassing and feel like it controls your life. It doesn’t have to be that way! Try some of the things recommended above and see what works for you. Everyone is different so a little trial and error is going to be needed to find out what works best for you. Make sure you check out our article Psoriasis Diet and Natural Treatment Options for more suggestions to keep your psoriasis on palm of hands in check. 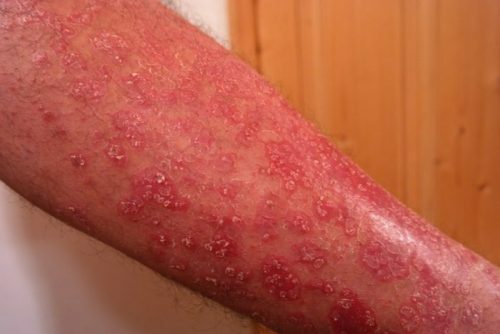 “A short course in topical psoriasis agents” https://www.clinicaladvisor.com/features/a-short-course-in-topical-psoriasis-agents/article/118026/ written by Dr. Doris Day, M.D. My name is Mike Walker. I put together this blog to help others that are suffering from psoriasis. My goal is to put all of the most effective home remedies and over the counter treatments in one place. 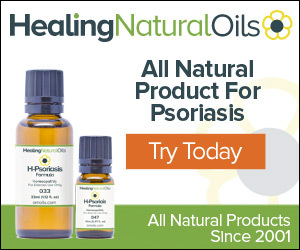 Get A Free Bottle of Our Favorite Psoriasis Cream! 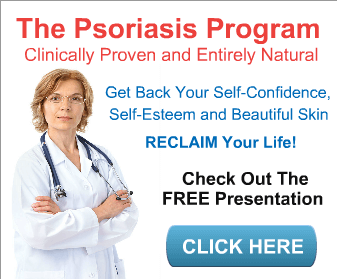 Get a FREE bottle of the most popular psoriasis cream on the market!